A black Yamaha DGX-660 digital keyboard, replete with functions for numerous instruments, was carried into the auditorium. For Notre Dame music teacher Matthew Murphy, the effect was immediate. The piano is the latest addition in a history of magnanimity by Zuccaro, vice president for the finance and insurance division at the Carbone Auto Group. Zuccaro, who is the centerpiece of Ricky Z’s Billy Joel Tribute Show, was a product of music programs in school that he always wished were better. His own piano donation program already has promised 20 pianos to local schools – 10 of those he’s funded from his band. The other 10, such as the one funded by the Observer-Dispatch, were from local businesses. 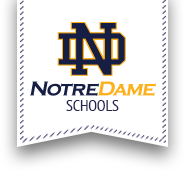 Teresa Wojnas, whose children graduated from Notre Dame Elementary, was part of the selection process. Her school was chosen as the winner of a drawing that happens at Zuccaro’s shows. For Margaret Trinkhaus, a sixth-grader who is in the choir and is involved with the piano nearly every day, the real excitement starts today.